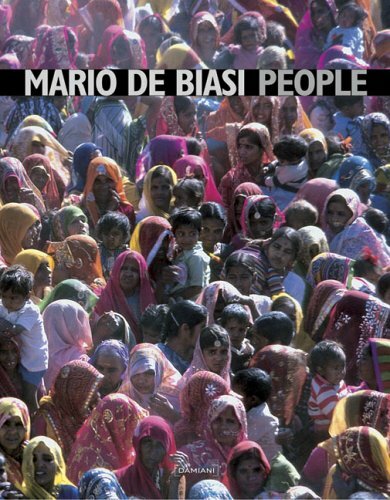 Peripatetic, prolific, and perceptive, Mario De Biasi has trekked the world, looking for and capturing human stories of such diversity that this collection could also be called People. With Boubat, Cartier-Bresson, Gardin, and Riboud, De Biasi was part of a generation of travelers and explorers whose oeuvre amounts to a visual ode to the second half of the 20th century. Through his long collaboration with Epoca, the Italian magazine, he is considered by many to be the father of photojournalism in his country, inspiring generations of young photographers, with travel bags ready and cameras always in hand. De Biasi finds intimate moments that nevertheless have the sweep of history: a crowded, colorful street scene in the Far East, or a worker napping in the crevice of an ancient monument. This book is part of the Unpublished photographs series.